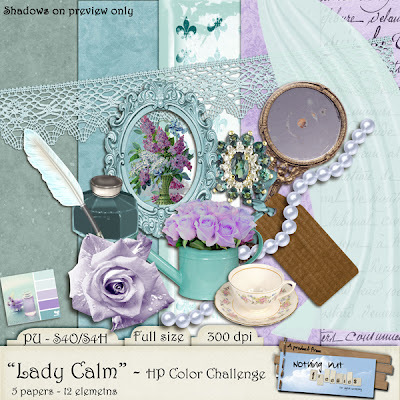 This month I participated in a Color Challenge in Heartfelt Perfections' Forum. The sad part is that I was the only participant. But because of this sad fact.... I won! And for that I'm smiling. Thanks to all of those NOT participating but most of all to Leigh Penrod for letting me win. And of course you will smile too. 'Cause the Winner Kit is now yours to download for free! But after you have downloaded it, PLEASE visit the Heartfelt Perfections Store and check out all the great stuff there. And while you are there, please join the Forum so I have a little competition in the upcoming challenges. Click image for direct download (4shared) or use the alternative links below the image. I really hope you'll enjoy this kit and maybe even share your work in "Your Gallery"...? Have a great time until we meet again (soon). awesome kit! thanks for sharing it! Thank you so much for this post. I want to let you know that I posted a link to your blog in CBH Digital Scrapbooking Freebies (please, notice the new url for my blog), under the Page 5 post on Jun. 27, 2012. Thanks again. Lovely kit... Think you would have won even with other in the contest. Beautiful kit. Thanks so much. This is soooo Beautiful ! Thanxxxx for sharing Your prize gift with us ! Will come and join in any future fun ! Keep on creating and having fun ! ...but anyway, it's just really lovely ! You deserve your 1st prize. Hello and Thank you for the great downloads. beautiful! and congratulations on winning, lol! have you checked out www.wilma4ever.com/w4eforum there are a bunch of fun challenges and contests and giveaways and games. hugs!